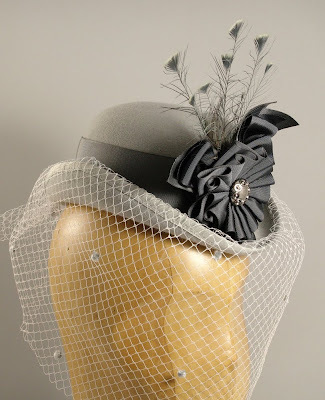 Here are photos of a few one-off hats I recently completed. They are all for sale at ADS Hats. 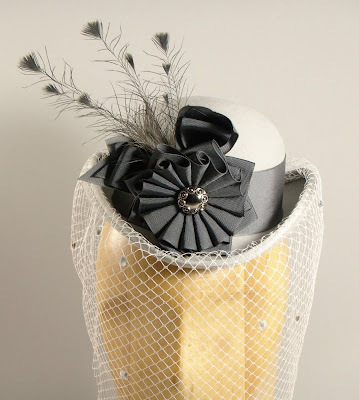 The top hat with black and white striped ribbon is one-of-a-kind, I found just enough of that ribbon to make this hat. 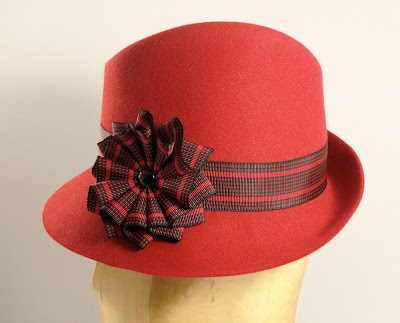 I will be making similar hats with other striped ribbon, but this one is pretty special. The gray hat was harder to photograph, looks like I'm going to need to get a different colored backdrop for gray hats. The veiling is chin length. 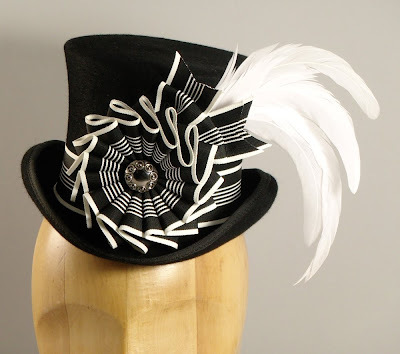 I can make this hat again, but the feathers on it are a rare antique piece that I may not be able to find again. 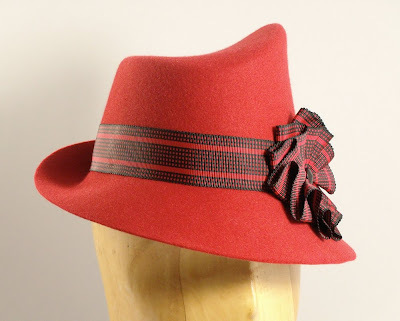 The red fedora was made on blocks I borrowed from Wayne Wichern. I wasn't planning to make another one, but might be able to borrow them again if there is a demand.